We are pleased to announce that we are launching the PhotoX 2018 Awards on the Photocrowd platform. www.photox.co.uk . Produced by ArtGeminiPrize – The PhotoX Awards aims to discover and showcase international contemporary photography by artists worldwide. Photographers can enter their work across three categories for a chance to win over £3,000 worth of prizes, and have their work shown and sold in two curated exhibitions in London. Energy Brief: Explore the concept of “Energy”. Maybe for you it would be encapsulating the movement of youth or the endless, relentless force of the sea. We challenge you to present us with your interpretation of this theme, our judges look forward to viewing sparks of electricity real or metaphorical. 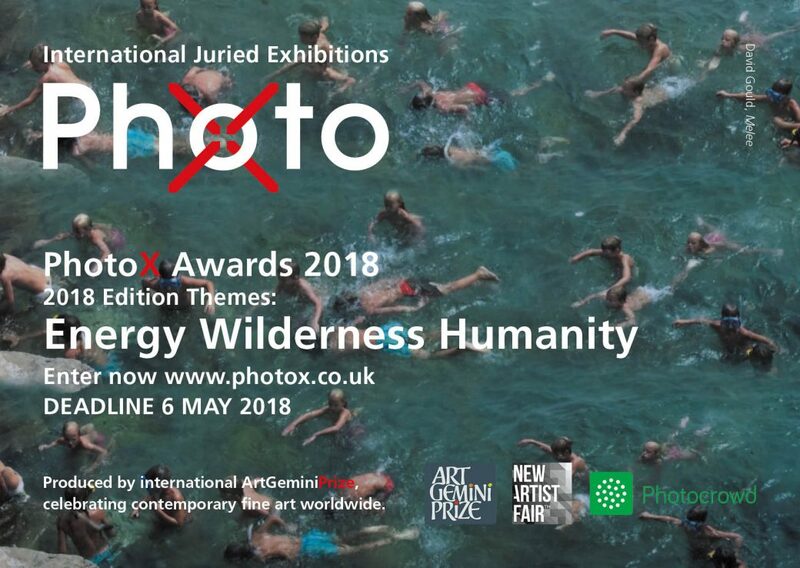 Wilderness Brief: PhotoX invites you to explore the theme of “Wilderness”, from the unbound freedom we find in nature to human propensity to release ourselves from the chains of regulations or convention. Humanity Brief: Compassion, forgiveness, friendship, empathy, charity, society, the human race. What does “Humanity” mean to you? From benevolence to our global family, inspire your creativity and enter a single image or series to respond to this brief. “Thank you to our generous Sponsors once again who this year include Fujifilm and Genesis Imaging.” Jimmy Lek, founder of the prize.